Talk about your severe disappointments. 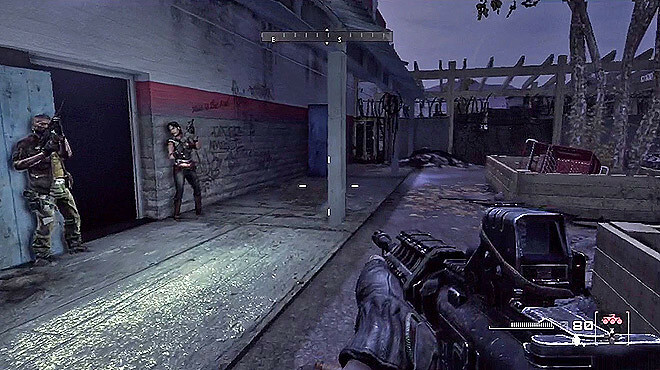 Homefront's developers promised a bold, emotional first-person shooter that would tug on your heartstrings, but instead delivered a bland, half-hearted shooter that learned its best tricks from other games and feels like it should have been released 5 years ago. In every way imaginable, Homefront looks and feels like a last-generation game. 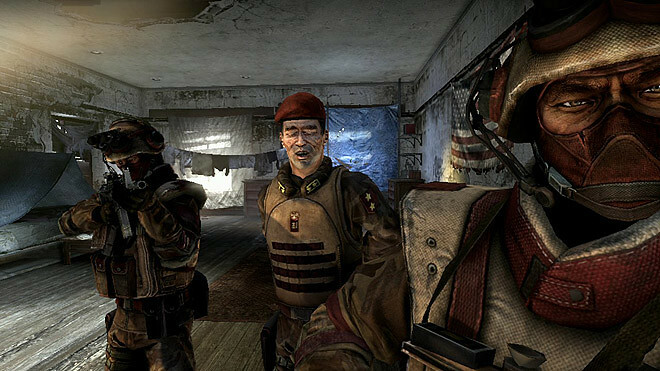 It shamelessly steals what it can from the Call of Duty series to modernize itself somewhat, but it never shakes the feeling that it's a relic from a bygone era. Everything from the underwhelming sensation of firing a gun to the brain-dead enemies that act like robots only serves to remind you that, ultimately, all you're doing is shooting pixels at other pixels and it's a complete waste of your time. Unlike the better games it steals from, it completely fails at basic immersion. A big reason for that is how amateurishly scripted the game is. Having to wait for your AI buddies to open every door for you is archaic and annoying, but bearable. Waiting for half a minute while they stand at the door doing absolutely nothing because their scripted door-opening animation still hasn't been triggered for some reason, however, is not. And therein lies the problem: half the time, not only are the scripted events uninspired and unnecessary, but they're completely broken to boot. It doesn't help that you're constantly being funneled down artificially linear levels that box you into your path with invisible walls and out-of-place scenery. Regardless of whether the world of Homefront is believable, it's just not fun to fight in. So even though the game has a surprisingly competent set of multiplayer modes, clearly demonstrating more design foresight than the single-player, I just had no desire to keep fighting. That last-generation feel isn't limited to the action, though. The game's story is clumsily told, taking an interesting premise and doing nothing interesting with it, focusing instead on a cast of wholly unlikable, one-dimensional characters as they mindlessly shoot people for about five hours. Then the game ends abruptly. A united Korea invading America could be a super gripping, very personal tale if done right, but here, nothing they throw at you has any impact whatsoever. Homefront shows you plenty of brutal atrocities happening in a neighborhood the developers hope you'll relate to if they lazily throw a White Castle or a Hooters logo in there occasionally. But that world just never feels like people actually lived there, even when they painstakingly force you to walk around the idyllic rebel hideout, begging you to talk to people who have nothing relevant to say. You're simply thrust into the story too late in the timeline to be able to relate to their wartorn America; you have nothing to compare it to. From top to bottom, Homefront is a miserable experience. The action is hollow, the characters are insufferable, and the story has all the subtlety of trying to scratch your nose with a blowtorch. I can't recommend this game to anyone.